If a whiter smile is a priority for you, you’re not alone. Americans spend nearly $1.5 billion annually on teeth whitening products. Dr. Cheng H. Tai, DDS, MS, PC, in Midtown Manhattan, New York, chooses the Zoom whitening system for his patients and provides in-office treatments with at-home support. Contact the office by phone or online to book an appointment today. There are two levels of smile brightening. Whitening technically refers to methods that bring your teeth back to their brightest natural state. Bleaching can make your teeth whiter than their natural color, but because of the perception of the word “bleach,” some use “whitening” for both techniques. Dr. Tai uses the Philips Zoom WhiteSpeed system for in-office chairside whitening. A light-assisted bleaching process, Zoom is the most requested whitening treatment in the United States. In a single visit, your teeth can be eight shades brighter immediately using the Zoom process. The effects last between 6-12 months. In a 45-minute treatment session, a whitening gel is applied to your teeth. Your teeth are then exposed to the blue LED accelerator lamp of the Zoom system. The combination of the gel and the lamp provide you with faster, brighter results than other whitening products. Dr. Tai recommends the Zoom whitening process for occasions when you want to look your best, such as for weddings and photo shoots. Are there at-home teeth whitening methods that work? Yes. In fact, the Philips Zoom system has at-home whitening and maintenance products to complement your in-office treatment. Dr. Tai’s office can make custom bleaching trays for you too, right in the office so you can extend the effects of your initial treatment. When you can manage teeth bleaching on your own, you have the freedom and control to make teeth whitening an ongoing, long-term application. Can all tooth discolorations be whitened? Teeth become discolored for many reasons. Red wine, tea, and coffee are common stain causes from your diet. Tobacco can stain because of both tar and nicotine. As you age, the translucent outer enamel of your teeth thins and reveals more of the yellow-colored dentin underneath. Damaged teeth may get darker, and certain medications can discolor teeth. There are some cases where staining or discoloring doesn’t respond to whitening or bleaching. 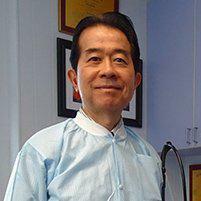 Dr. Tai discusses your expectations before treatment to assure you’re not disappointed. If your teeth are yellowed, chances are high that you’ll see a whiter result. Brown teeth likely won’t whiten as well, and if your teeth have gray discoloration, they may not whiten at all.